Ronald van der Meijs: Article about the sculptural design for N34 Drenthe. 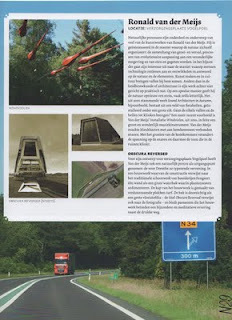 Article about the sculptural design for N34 Drenthe. In the third and latest issue of 'N34 Lanscape in Transit, vakantie bv' there is an article about my sculpture 'Obscura Reverse' written by curator Nils van Beek from Skor Amsterdam.